Kansas City offers a lot of attractions to tourists and travelers. From the Kansas City Chiefs to the Kansas City Zoo, and countless cultural and business attractions in between, people come to Kansas City for a good time and great memories. An integral part of any tourist’s visit is his or her hotel stay. That’s one reason US Textiles Online has helped so many hotels find the hotel linens Kansas City hotels can be proud of. Our hotel bedding ranges from durable and affordable to luxury hotel linens with sheets that cap off a long day with comfort and style. We are the hotel linen suppliers Kansas City hotels have chosen time and time again. We have representatives that have helped Kansas City hotels with all of their linen supply needs, from luxury hotel sheets to hotel bath towels, bedding, and more. We know the area and we’re confident we can help you find what you’re looking for. 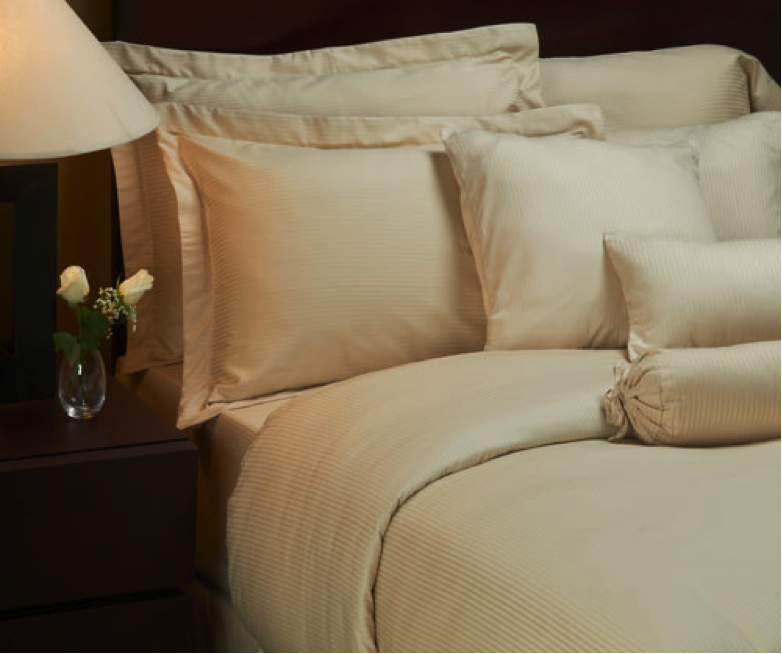 You’ll be pleased with our wholesale hotel linen prices, our friendly service, and our interest in providing you with hotel bedding that will last at the quality that will bring a smile to your customer’s face. So call us today and let us supply you with the hotel bed sheets, bedding, and hotel bath towels that will meet your hotel linen supply needs in Kansas City MO. Aside from offering pillows, blankets, and sheets that your hotel can be proud of, we also offer the good hotels of Kansas City Missouri hotel bathroom supplies and hotel bathroom accessories. That includes soaps, lotions, and shampoos that always give that extra touch to a well-kept hotel room. Call us today to find out what we can do for you when it comes to the entire hotel bathroom. We’ll help you find everything from the bathroom towels down to the curtain rods, all at wholesale prices. We look forward to serving you! You can speak to a US Textiles Online representative during normal business hours at 913-660-0995.